to cater to your child’s needs. Each session includes written and computer based activities, plus ongoing progress reports and regular tutor feedback. are conducted by a qualified teacher from a local Wembley or Brent based school. Based on the results, a tailored programme will be created to address your child’s learning. using proven methods and techniques, will bring out the best in your child from Year 1 to GCSE. Trust the experts to bring the fun back into learning. Should you enrol with us, our friendly and talented teachers will ensure that your child stays motivated and enjoys their learning experience, whilst making tangible progress. This has been the common theme of our Kip McGrath students throughout the world; they enjoy coming to our centres and make visible progress at school, both in their academic achievements and their social interactions. At Kip McGrath Wembley we value the importance of each student’s journey. We feel extremely privileged when a parent enlists our help for their child’s education. Because of this, we endeavour to go above and beyond to go the extra mile in delivering an exceptional level of service to our students and parents. Whether we are talking about students or co-workers, respecting individuality is a core value to Kip McGrath Wembley. We recognize that each child is at a different stage and learns in different ways. That is why our individual programmes are so important, because we do not adopt a one size fits all approach. Kip McGrath values itself as an innovative provider of education content. We are continually investing in our IT infrastructure to remain market leaders in learning. We expect our teachers to think outside the box too, in providing the best learning experience to our valuable students. 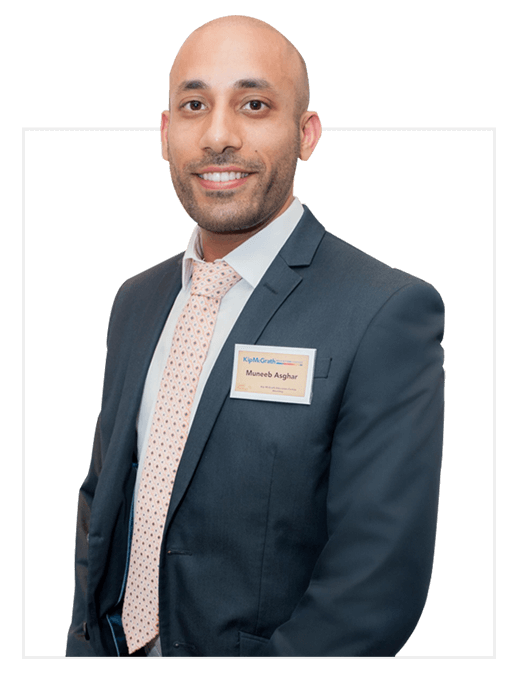 Muneeb is the Centre Director of Kip McGrath Wembley and a passionate Kip McGrath qualified teacher. In 2005, he played an integral part in setting up the Community Education Trust in Berkshire which helps young underprivileged children with free private English, Maths & Science tutoring. The fledgling enterprise started with 15 students and today helps over 200 children (with a waiting list of 50), extending its offering from 11+ through to GCSE. This project would later prove to be pivotal when he decided to depart from a successful career in finance to set up a KipMcGrath Education Centre in Wembley in 2014 and he has since never looked back. The centre is now in its fifth year and is helping more and more students each year.